We will assist you in making a claim with your credit card. Remember, this claim is ultimately your responsibility to start and to cooperate with us until it is settled. Globe acts only as intermediary to facilitate the filing process. Should the claim be denied, you remain fully responsible for the entire claimed amount. Your claim must be filed IMMEDIATELY by calling your credit card company. Their number is available on the back of your credit card. 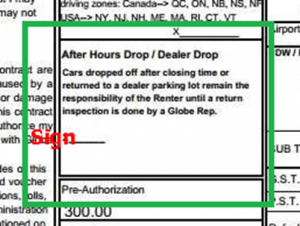 Please obtain a claim number and relay to claims@globecar.ca (be sure to include your contract #). 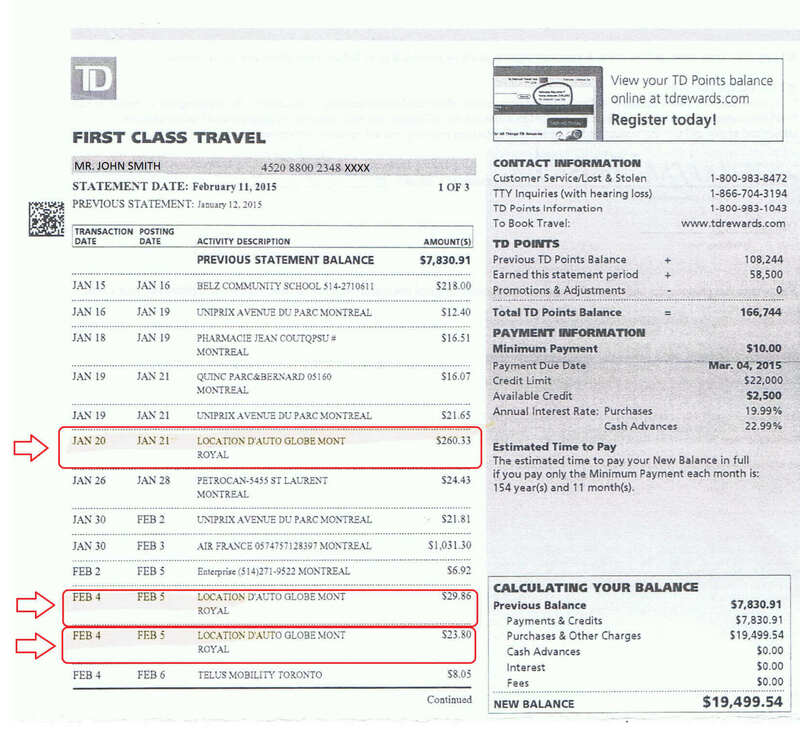 Copy of your Credit Card Statement showing the final rental charges. See sample. 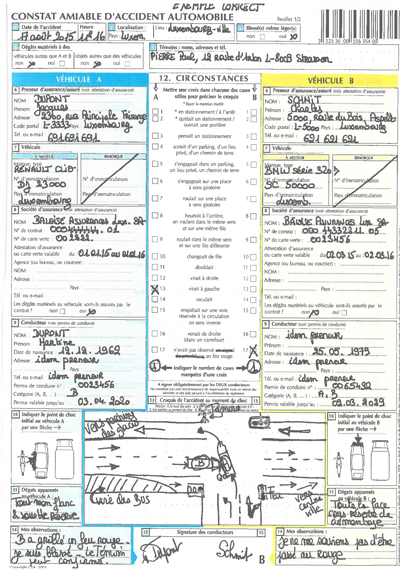 Copy of the Joint Accident Report. Must be filled out at all times. See sample or Print it now. 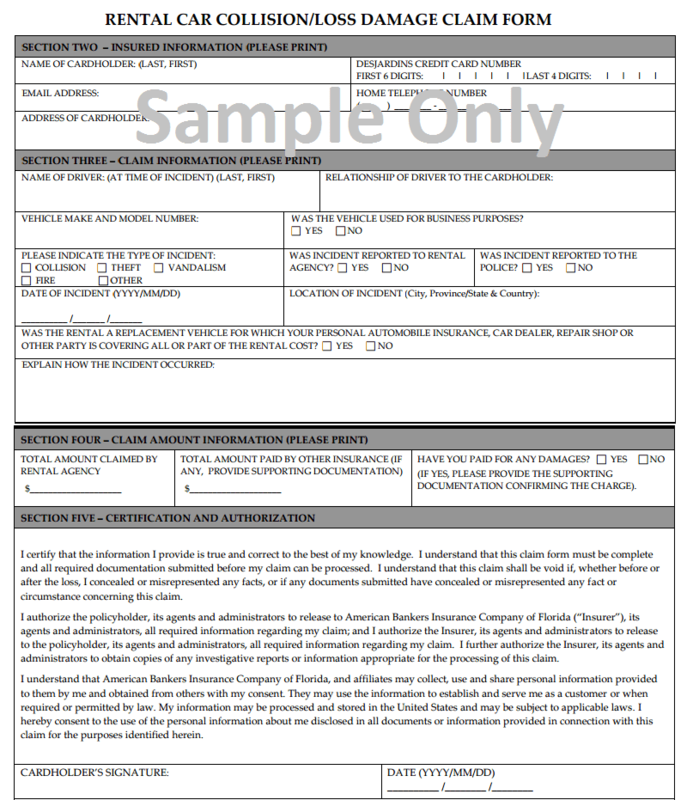 Completed Damage Claim Form from your credit card company (if applicable). Must be obtained directly from your credit card insurance company. See sample. Remember: you are ultimately responsible for the loss until it is settled and payment is received from your credit card insurer. Globe Car Rental are not affiliated with any credit card company. This is a benefit from them to you, which you may or may not be eligible for. For more information contact your credit card company directly. We take no responsibility for any information stated herein or for any denial of claim. Will this affect my credit card benefits; can the credit card company cancel my card? This is a major misconception and why some clients are afraid to open a claim, even if it has no negative effect on their account. No, credit card companies won’t cancel your card when you make a claim. Some however, may do so if/when you abuse it or if there is abnormal claims (i.e. 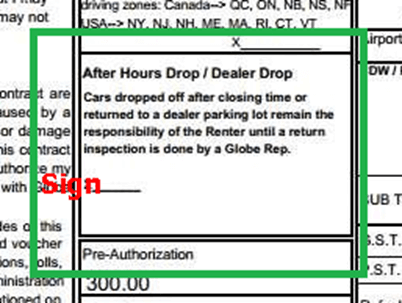 3 major claims per year), etc… Please refer to your agreement or contact them for more information. If I open a claim, will this affect me when I go to get insurance when I buy a car in the future? This is a major misconception. No, it will not affect your future rates. Accidents and your claim history with car rentals are not connected to insurer’s database! What are the reasons why my credit card can deny my claim? Please verify your agreement with them.